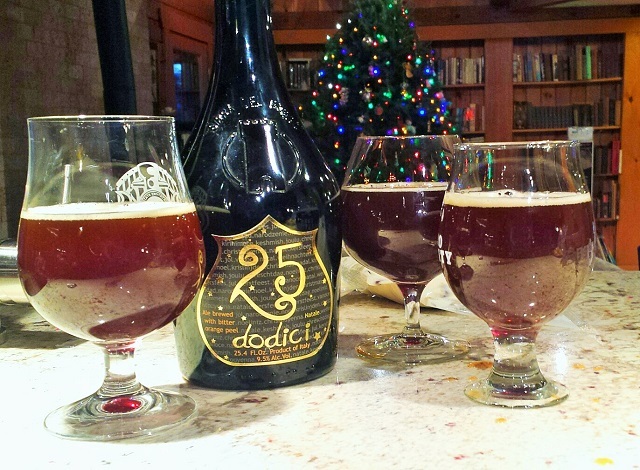 What better beer to drink on December 25 than 25 Dodici, which means 25/12 in Italian, the way Europeans indicate the day/month? Well, there would have been something else, no doubt, had I noticed the elephant in the room. It sets up something of a learning experience, although probably a lesson I already knew, in that I and my confreres this Christmas evening drank the beer without knowing that in late April of 2016 Birra del Borgo was puchased by AB InBev, raising the beer behemoth’s craft brewery acquisitions well past the dozen mark and spreading worldwide, to England and Australia as well as Italy. Frankly, had I known (or remembered) this beforehand, I wouldn’t have purchased the beer. It has nothing to do with the beer, which all of us thought was quite nice. It has everything to do with my desire to not pass on any of my money ($18.50 in this case) to AB InBev. They don’t need it, for one. And I’m just not a fan of their business practices, two. It’s not a hard and fast rule with me to never purchase AB products. More of a moral guide. 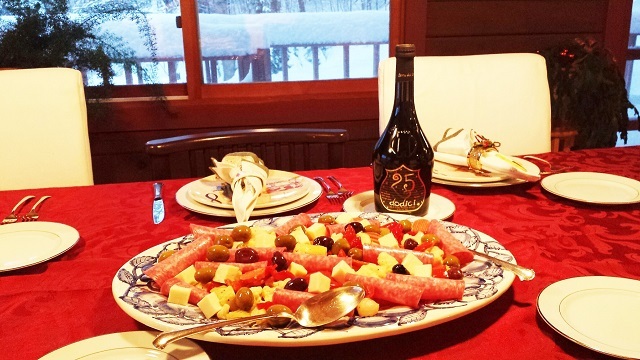 It shouldn’t matter who makes it, it’s what’s in the bottle that counts! goes a common counterargument. As to the actual taste of the beer, that’s absolutely true. But as to the purchase of it, I’m willing to forego any beer’s charms to make my little statement, and I’m certain enough that I can fill the void with other great beers from different producers. Bierra del Borgo was founded in 2005 in Borgorose, Italy by Leonardo Di Vincenzo, who fairly quickly moved from a chemistry teacher background to a rising star and entrepreneur in the craft beer world, aiming at an Italian terrior for beer, and including experimental techniques (some borrowed from the wine world) and doing some unique conditioning projects involving terracotta amphora pots. Di Vincenzo is perhaps known best in the U.S. for a collaborative Imperial Pilsner with Dogfish Head, My Antonia. He also teamed up with Sam Calagione of Dogfish Head and Teo Musso of Birrificio Baladin (makers of Nöel Baladin, which made the 2014 list), in creating beers for Eataly’s Birreria in New York City. Once the sale to AB InBev went through, however, that involvement ended. I was surely feeling more benevolent at the time we uncapped the beer, in the grand interregnum between opening our presents and digging into Christmas dinner—in our case, usually of an Italian tilt featuring antipasto and the homemade meat sauce recipe that goes back generations on my wife’s side. We had five tasters for the beer, including my daughter and son and their respective spouses. We came up with all sorts of aromas and flavors—cherry, cherry pit, orange peel, honey, malt, burnt sugar. I thought there was some mild and harmless oxidation, and found the mouthfeel velvety, coating. 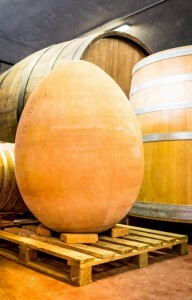 The beer is indeed made with both orange peel and grapes, in the style of a strong Belgian dark ale. Overall impression—the beer was a winner. I don’t think any of us would turn another down. But I, for one, probably wouldn’t buy it. Availability: Seasonally. Formerly imported by B. United International, but no longer listed in their roster.